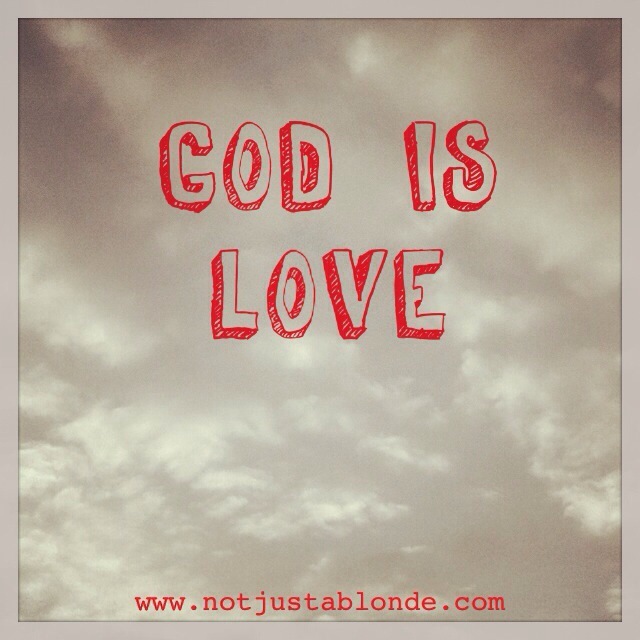 A simple reminder of a simple Truth: God is Love. If you wonder where God is in any situation, look for the Love. If you question your future or what path to take: to follow God is to follow Love. Love isn’t simple. Love isn’t easy. Love is kindness, forgiveness, empathy, patience, and peace. Love is God’s presence in this oft mistaken and suffering world. To find God you must pursue Love. God is this Love. Perhaps it would be better put as ‘to find Love you must pursue God’. Seek first the Kingdom of God and His Righteousness and all these other things will be given to you. But what does Love do? Does it accept anything and everything? People often think of Love as also involving warm fuzzing feelings and that is not true at all. With love comes a conviction in heart and where God is there will also be conviction in love. There can also be a hard edge to love too: what some people choose to call tough love. This is love that looks ahead, and challenges behavior that might lead to someone, or an animal, suffering; that someone could be the one whose behavior is being challenged. It is the type of love that is revealed in the Ten Commandments, which are really saying: ‘Don’t do these things, or someone might suffer as a result. A useful definition of love is: ‘wanting good things for someone,’ which would include not wanting that person to suffer, or cause someone else to suffer. Yes, love is that as well. Thanks for your comment! Why do men accept the Scriptures about John’s Baptism but reject the Scriptures concerning New Covenant baptism? Jesus was required to be baptized in water by John the Baptist in order to fulfill all righteousness. Had Jesus rejected John’s baptism He would have been disqualified as a perfect sacrifice for mankind. Jesus was without sin, however, He still had to do all that God required Him to do. When men today claim that Christian water baptism is either not essential to salvation or they outright refused to be immersed in water, are they rejecting God’s counsel? Are they rejecting God’s required for forgiveness of their sins? Steve, I do not accept any scriptures concerning baptism. The comment that is attributed to Jesus in regard to fulfilling all righteousness was allowed by God to be accepted into the Bible to show us the importance of obeying Her.